Look, we’ve all had our share of needy dates and codependent relationships, but you, friend, seem to have gotten yourself a Stage 20 clinger! It’s a tale as old time…boy meets girl, girl starts hugging your face, girl plants an alien egg in boy’s face, boy starts getting taken over by baby alien…it could happen to anyone! Well, okay, maybe not anyone…some of us listened to that part about wearing a helmet at all times, because we care about safe space practice. But hindsight man, right?! But now you’ve got an even more unexpected problem…your original alien face hugger is gone, and even though you complained the whole time she was taking over your face, you didn’t know how much you’d miss her when she was gone. 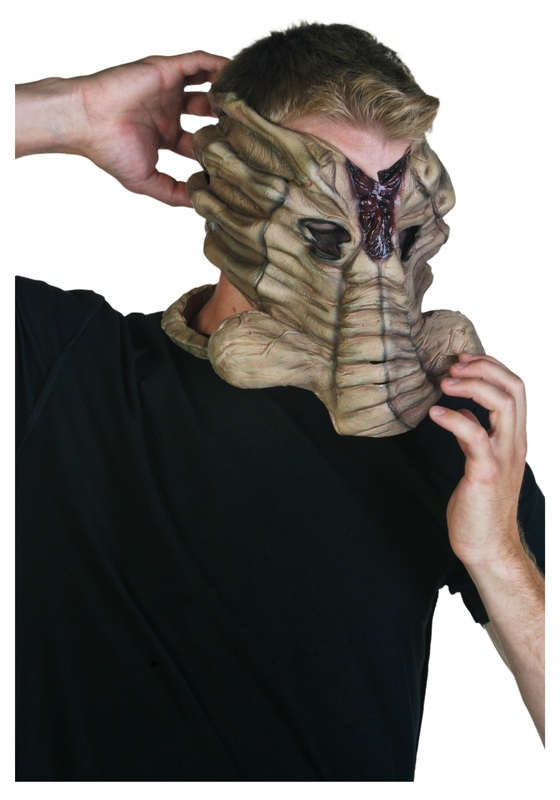 Easy fix: Get this deluxe Alien Face Hugger Mask! The latex face mask is molded to look like a face hugger alien, and the long tail can even be wrapped around the neck. So in the meantime and in between time of her leaving you and that baby alien taking over your boy bod, just slip this on and let it transport you back to that quiet and terrifying night! Memories!